Alex McLeish’s men had lifted this trophy in cavalier fashion last March when they routed Dundee United 7-1 in the semi-final before dismantling Motherwell 5-1 at Hampden in the final. 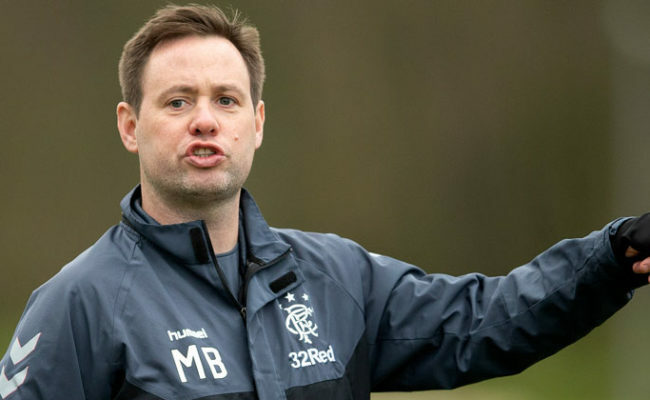 Back then – only eight short months ago – there had been style, passion and a constant glut of goals in Rangers’ play but those qualities have been lacking for weeks now and it was no different here this evening. McLeish had offered a brave face when he addressed the media prior to this match but even he, in private, must have been fearing the worst. After a wretched start to the season, Gordon Strachan’s men entered this quarter-final tie undefeated since the previous Old Firm game back in August and with the bookmakers making them heavy favourites to remain so come close of business. For McLeish, supposedly only keeping the manager’s seat warm for the next incumbent according to media reports, it was probably of little consolation that at least this result, one way or another, wouldn’t end in his side’s fifth consecutive draw. Given their recent form, perhaps keeping their opponents out until the end of extra-time and then progressing via the lottery of a penalty shoot-out seemed to be Rangers’ most likely method of winning this tie but when Celtic opened the scoring after 26 minutes even that seemed ambitious. Celtic, on home turf, had enjoyed the bulk of possession but before the goal their only chance of note had been an Aiden McGeady thump that Klos gathered comfortably. Rangers fared little better in a turgid opening 45 minutes. Boosted by the brawn of Hamed Namouchi and Ian Murray in midfield, they strangled most of Celtic’s attacking ambition but offered little going forwards themselves. 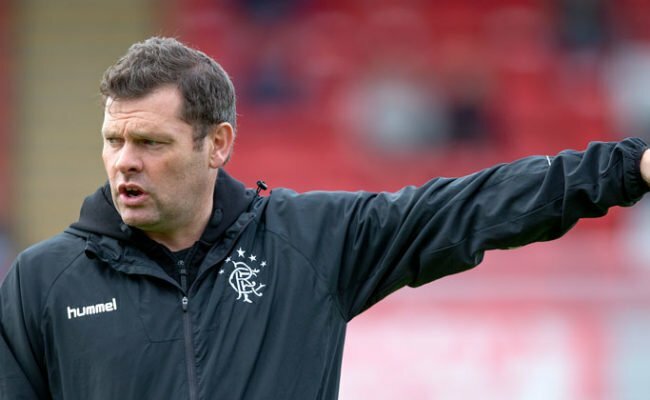 Steven Thompson and Dado Prso were both willing targets in attack but too often passes were misplaced or runs mistimed thus wasting what few opportunities Rangers managed to create. In one rare foray out of defence, Namouchi carried possession fully 50 yards, striding purposefully into attack before sending a lateral pass too far in front of Murray and out for a throw-in. It was symptomatic of Rangers’ performance all night as Artur Boruc enjoyed one of the quietest nights of his fledgling Celtic career. 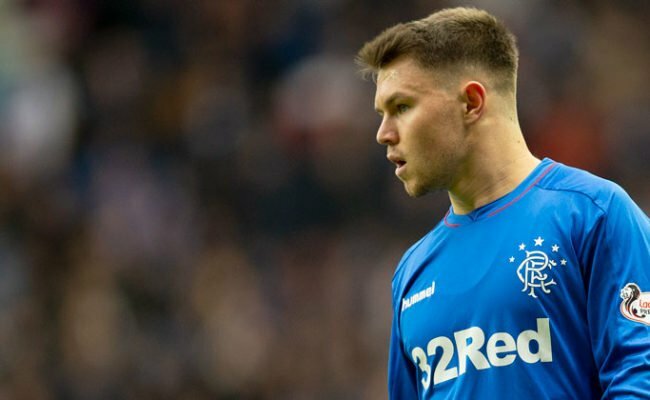 A Thompson header that he watched droop wide of his post and a Barry Ferguson shot that he held comfortably were the sum of his workload as Rangers’ recent woes in front of goal continued unabated. In an attempt to push Celtic on to the back foot McLeish introduced first Peter Lovenkrands and then, 10 minutes later, Franny Jeffers into the attack early in the second half but neither change did much to redress the balance with Celtic now coasting and Rangers seemingly unable or unwilling to do much about it. As the rain started to tumble from the sky, McLeish must have wondered how it could get any worse. He would soon find out when his team was reduced to 10 men after 65 minutes. 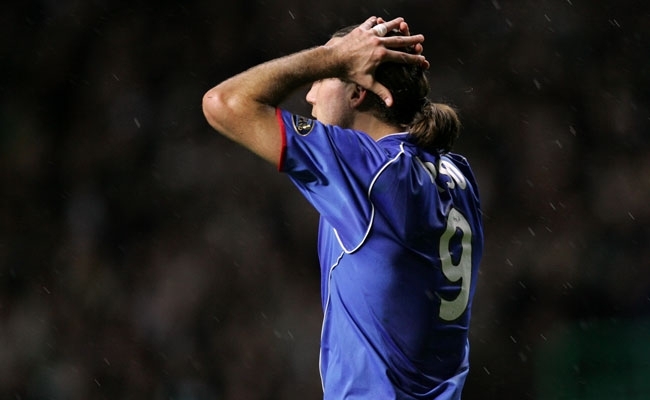 Sotirios Kyrgiakos, a tempestuous character at the best of times, was adjudged to have fouled Maloney and greeted the decision by referee, Kenny Clark, with a burst of sarcastic applause. It earned him a second yellow card – his first came for a foul on Stilian Petrov late in the first half – and he trooped off the park still clapping all and sundry. A man down and looking thoroughly dejected, Rangers’ only solace was that this was not the Celtic team of a few years ago who would have seized on their extra man advantage and crushed their opponents mercilessly. McGeady saw two quick shots in succession blocked by first Julien Rodriguez and then Murray before Hartson inexplicably stubbed a Petrov cross past the post when it looked like he must score. Rangers, remarkably still only needing one goal to force extra-time, seemed unable to take advantage of Celtic’s profligacy, their cause not aided when Rodriguez had to hobble off injured 10 minutes from time. Klos atoned for his earlier misjudgement with a fine save from Shunsuke Nakamura but a second Celtic goal was just around the corner. The Japanese midfielder – who had contributed next to nothing all night – sent in an enticing centre that Bobo Balde bundled against Klos and over the line from a matter of yards to complete the victory. Prso watched his header clatter Boruc’s crossbar in the dying moments but by then it was far too little too late.